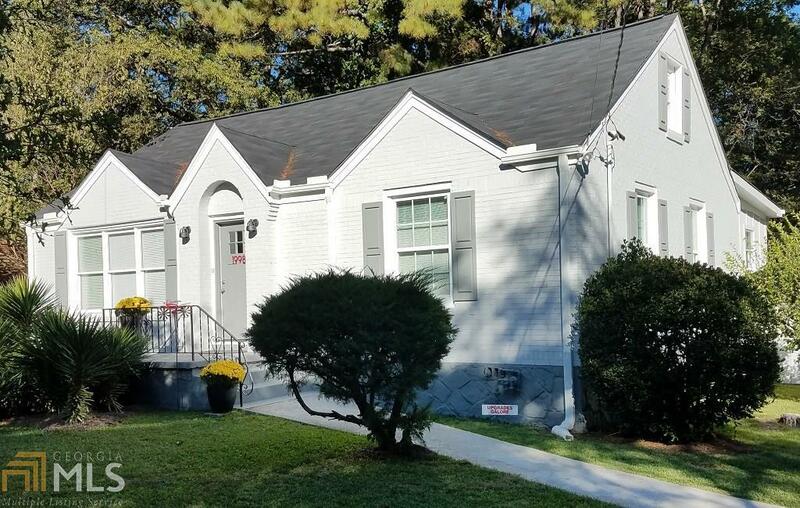 Renovated bungalow, updated throughout. Large Master Suite on main with deluxe closet and private bathroom featuring double vanity & custom tile shower. Open kitchen/living room plan, amazing Chef&apos;s kitchen w/granite tops, designer flooring, Stainless Steel appliances, upgraded fixtures, island work station, new hardware, lighting, cabinets, pantry. Two more bedrooms, completely w/updated bath on main, plus 2 finished bonus/flex rooms upstairs for office or extra storage. Energy efficient double pane windows, new roof, new Furnace/Air Conditioner and more! Wonderful deck with plenty of room for entertaining, overlooking fenced, level backyard, off street driveway parking. East Lake Golf Club and neighborhood amenities, easy access to Atlanta on I 20. Directions: Take Glenwood Exit, Turn Toward East Lake Golf Course, Right Turn On Second Ave, House Is On Left Side Of Street Before McAfee.